Betar Gallant is the Esther and Harold E. Edgerton Career Development Professor in Mechanical Engineering at MIT. Dr. Gallant also completed her SB (‘08), SM (‘10) and PhD (‘13) degrees in Mechanical Engineering at MIT. During her graduate studies, she was awarded an MIT Energy Initiative Fellowship for her research on lithium-oxygen batteries. After graduating. 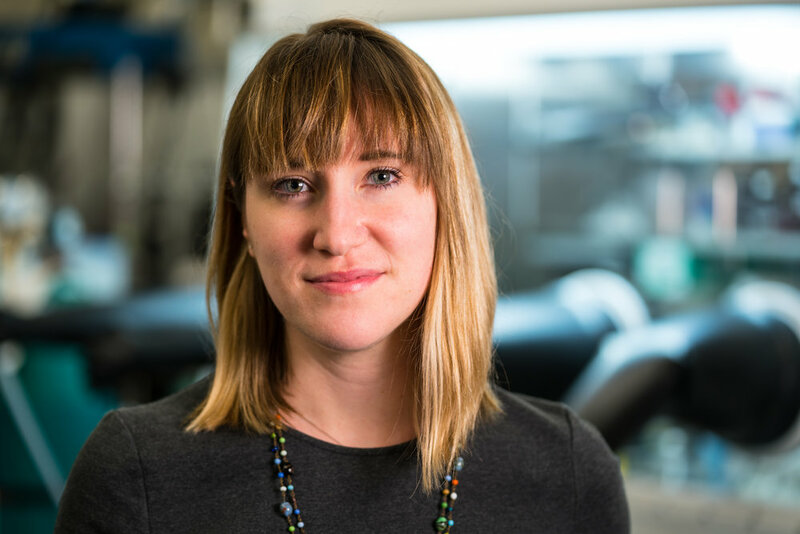 Dr. Gallant was a Kavli Nanoscience Institute Prize Postdoctoral Fellow at the California Institute of Technology, where she conducted research into device architectures for solar fuels-generating electrochemical devices. As a faculty member at MIT since January 2016, Dr. Gallant leads the Energy and Gas Conversion Laboratory, which is developing insights into new reaction mechanisms that underpin advanced primary and secondary batteries, gas sensors, and environmental cleanup technologies. Dr. Gallant’s lab has recently contributed several new concepts and battery chemistries for both primary and rechargeable systems, including primary fluorinated gas-to-solid reactions with high energy density and novel electrolyte chemistry for combined CO2 capture and conversion. In 2016, Dr. Gallant was named an MIT Bose Fellow for her original work on fluorinated gas conversion in batteries, which has since broadened in scope to encompass new methods of fabrication for advanced energy storage materials and tailoring of interface properties for next-generation battery chemistries.